The 2019 Passive House Canada Conference takes place October 17-18 at the University of Toronto Scarborough. The Call for Proposals is now open!!! Are you working on a new project? Have a new innovation, or significant lessons learned that you would like to share with the Passive House community? Submit a speaker proposal for consideration for presentation at the conference. The submission deadline is April 15th – click HERE for more details. On February 4, 2019 Efficiency Canada, along side supporters from across Canada send Minister Morneau a letter urging the Minister to leverage the power of energy efficiency in Budget 2019. You can read the letter to Minister Morneau and see Efficiency Canada’s Budget Proposal in the links below. Our conference theme of ‘Partnering for Transformation’ meant different things to different people. For most, the central goal of attending was to learn from fellow practitioners, contractors, developers, and manufacturers. For others it was an opportunity to network, build contacts, and grow their community. What we all gained was the opportunity to see first-hand, the incredible momentum that Passive House is gaining in Canada. Just a few short years ago, it seemed that very few people understood the solutions Passive House professionals were offering. As Canada’s building market changes and Passive House becomes known, one thing becomes clearer: that we are all dependent on a supportive policy environment. Without governments, municipalities, associations, and educational institutions on board we are swimming against the current. During conference, the federal government took the opportunity to say it is probable that the final tier of the Net Zero Energy Ready Code will be very close to Passive House standards. While it might not seem as such, this is a significant win for Canada, and the result of our national buildings strategy building upon the experience in leading cities and provinces. If there is one thing that everyone can walk away from this conference with, we hope it is a sense of the important difference each of us can make by working with our governments to advance building standards. Attend meetings, make submissions and participate in the numerous processes preceding policy implementation. Collectively, we can make a real difference. 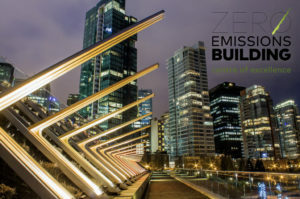 Some provincial incentive programs are working to encourage developers to build to a higher standard and targeting Passive House certification in building components and demonstration projects. These clear indicators of the future should give everyone the confidence in the work that our community has done, and the investments being made in policy, training, and product development to meet the demands of the future market. We want to thank everyone who has worked to advance Passive House in Canada, and to all those who helped make this conference a success. Our objective with this conference was to create an opportunity for people to gather together, learn from each other, and become excited about the future of building in Canada. We hope that the conference left you feeling inspired and looking forward to market transformation. Between speaking to representatives from cities around the world, presenting our Building Enclosures course to local industry, and presenting the latest policy and technical developments in cold-climate high-performance building, Passive House Canada will be spending much of March in Edmonton. Passive House Canada will participate at the Cities and Climate Change Science Conference, presented next March in Edmonton by the Intergovernmental Panel on Climate Change (IPCC). The City of New Westminster, B.C., invites members of industry and the local public to provide written submissions on the proposed amendment to Zoning Amendment Bylaw No. 7953, 2018 – Passive Design Incentives for Single Detached Homes.